About 1 in 10 deaths on U.S. highways occurs in a crash which involves a large truck. With a greater ground clearance and often weighing 20 to 30 times more than the average passenger vehicle, these large vehicles often cause catastrophic injuries, and even death, in roadway accidents. Both the larger size and weight directly impact the occupants of smaller cars and increase the risk of life-altering injuries. In fact, studies show that victims who are hit by a vehicle which weighs 1,000 pounds more than the car they are traveling in are 47% more likely to be killed in a crash. 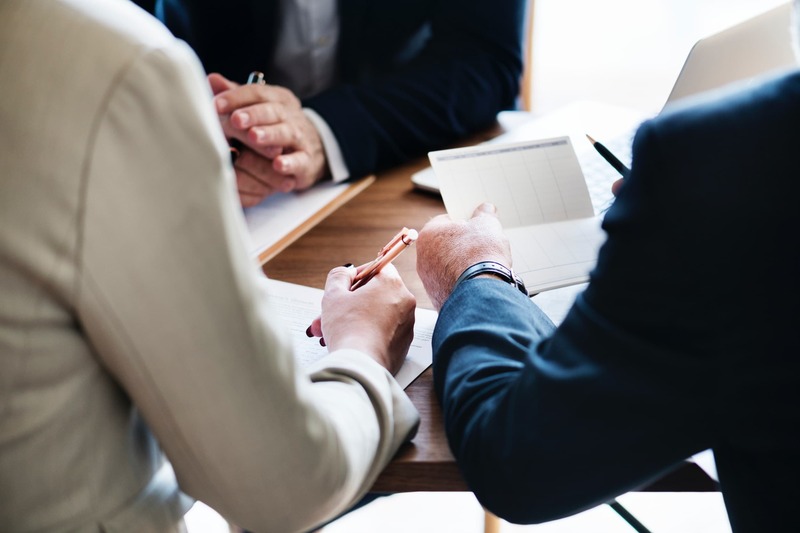 With the exceptional truck accident lawyers from Slack Davis Sanger working on your behalf, you can focus on next steps after a serious accident while our team concentrates on securing the largest possible settlement to compensate you and your family for your losses. Loaded tractor-trailers can take up to 40 percent farther to stop than a lighter vehicle—a distance which can be even longer under slippery or wet conditions, or if a truck’s brakes have been poorly maintained. In the event of a collision, the passengers in a lighter car who are in a truck’s path will feel more of the impact when a truck driver attempts to brake. Large trucks tend to be much taller than the average car, putting occupants of smaller cars at a heightened risk of life-changing—or fatal—injuries if their vehicle passes underneath the truck or trailer in an accident. Because of a higher center of gravity on these trucks, rollovers are more likely on curving roads or highway exits. Truck driver fatigue is another factor in these crashes, since surveys suggest that many operators violate hours of service regulations by staying on the road for longer time periods than allowed. Slack Davis Sanger has built a reputation as a top truck accident law firm by successfully representing victims and their families in the aftermath of these tragic incidents. Failure to adjust vehicle speed to curves in the roadway. Most of the drivers in these accidents made miscalculations while navigating on- and off-ramps. In many cases, a tractor trailer’s high center of gravity and unstable loads are a contributing factor when one of these vehicles overturns. A heavy load. Drivers may neglect to consider the height, weight, or security of their cargo when operating a heavy truck. Weight may be poorly distributed, top heavy, or not well-secured. 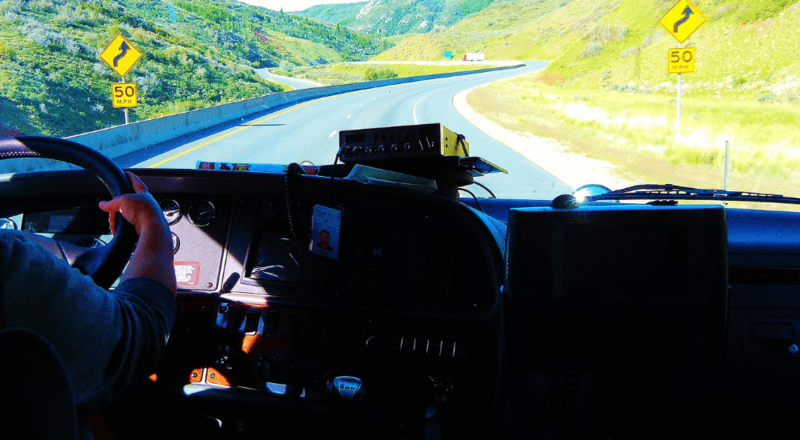 Handling errors that arise when a truck operator uses excessive speed on sharp curves can put surrounding drivers at risk of serious injury, and even death. Speed was the single biggest contributing factor in the rollovers in this sample. The condition of the truck’s braking system. A driver is often responsible for checking that a truck is safe to drive, and making sure that brakes are maintained, the suspension system is working as it should, and that tires are properly inflated. The driving surface. Slippery surfaces can be a challenge for truck drivers, as can long stretches of descending roadways. In many cases, drivers neglect to slow down in these conditions, which can result in a crash. Conditions at an intersection. The usual scenarios that lead to accidents at an intersection involve failing to slow down enough for a turn. Some examples of these situations are when a driver is in a hurry trying to avoid running a red light, when a T-intersection comes up unexpectedly, and making a last minute turn at a cross road. Driver distraction. Not paying full attention to the task at hand can be caused by the same kinds of distractions all drivers deal with: cell phones, hearing an odd noise, or a CB radio or stereo system. Driver inattention. When a driver stops observing the oncoming roadway, a crash can occur when there is a sudden need to change direction. Fatigue is another common problem among truck drivers, who often drive at night or for long stretches without a break. Oversteering. 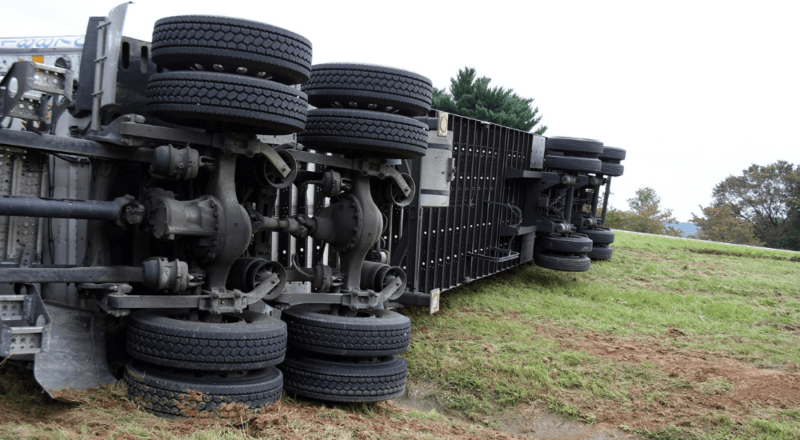 Some crashes happened when a driver oversteered so much that the vehicle flipped over, while in other cases, steering was not adequate to keep the truck in its proper lane. Lastly, some accidents happened when the driver overcorrected while driving, resulting in oversteering in an attempt to stay on the road. These risk factors are generally split into two categories: unsafe behavior or conditions that are identified as being directly linked to a crash and latent factors that statistical data show raise the likelihood of an accident. These tragedies are often traced back to an error in judgment on the part of the truck driver. In the U.S. Department of Transportation’s Large Truck and Bus Crash Facts 2016 report, a majority of accidents were caused by “speeding of any kind”. What’s even more alarming is that more families are faced with the consequences of these devastating incidents, as the number of fatal crashes involving these types of vehicles increased by 29% from 2009 to 2016. Driver distraction or a failure to pay attention was the second leading reason these accidents took place, while impairment—either by fatigue, alcohol, or some type of illness—was another key factor in accidents involving larger vehicles and passenger cars. Slack Davis Sanger’s team of high-caliber truck wreck attorneys have the resources to conduct extensive research into the chain of events leading up to the accident, including any possible errors made by the driver prior to the incident. Research conducted by the Insurance Institute for Highway Safety (IIHS) indicates that drivers on the road for more than eight hours are twice as likely to be involved in an accident. Long hours behind the wheel lead to fatigue, a disrupted sleep/wake cycle, and sleep deprivation, all of which can increase the likelihood of a crash. A complicated set of regulations dictate hours of service limits, and a shortage of drivers is pushing the industry to its limits. Under pressure from the trucking industry, government agencies are reviewing changes to these rules which would permanently suspend limitations on rest periods between duty shifts. 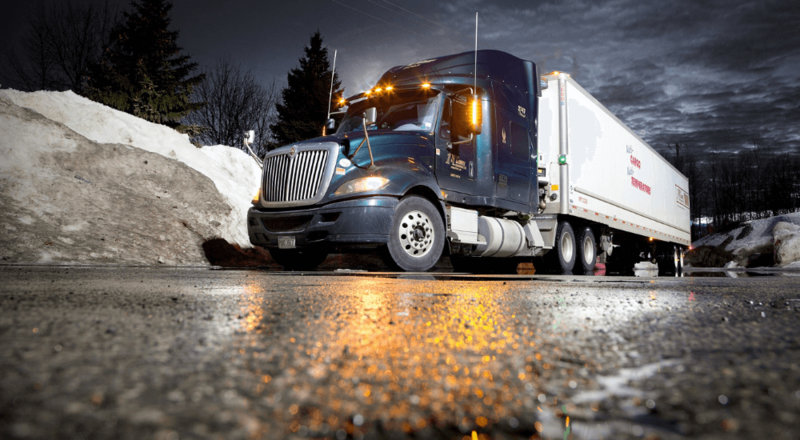 The Owner-Operator Independent Drivers Association (OOIDA) has expressed reservations about these suggested changes that keep truck drivers on the road when they are fatigued, in high traffic situations, or under unfavorable weather or road conditions. The attorneys at Slack Davis Sanger have the truck accident case experience to understand when driver fatigue plays a role in these cases and how to best advocate for victims and their families when pursuing justice in these cases. A thorough understanding of the location of the accident, the nature of the crash, the impact on the vehicles involved, the resulting injuries and medical care, and the other contributing factors are all needed to secure the maximum amount of damages for the victims and their families. In the 2010 Large Truck Crash Causation Study, researchers found that over half of large trucks involved in accidents had one or more mechanical violations. In these crashes, almost 30% of these large trucks had at least one problem that should have taken the vehicle out of service. The most frequent equipment violations involved malfunctions in braking and lighting systems. A large truck with a misaligned braking component was found to be almost twice as likely to have caused a crash. A large truck with a brake violation was also much more likely to be the striking vehicle in a rear-end and crossing-path wreck. 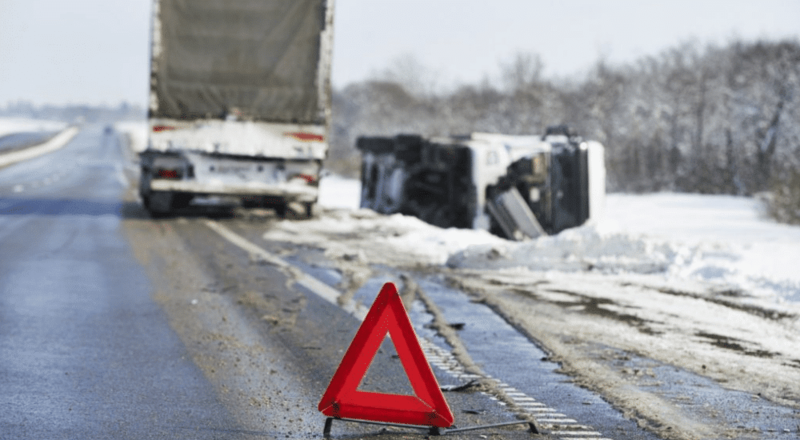 The well-respected truck accident attorneys at Slack Davis Sanger are skilled at conducting the thorough research needed to prove how and why these accidents occur to pursue a sound legal strategy on behalf of victims and their families. A complex set of laws come into play when determining liability in these catastrophic roadway accidents. The National Highway Traffic Safety Administration (NHTSA) is charged with setting standards for equipment used in new trucks and plays a role in truck equipment for vehicles traveling on our roadways. In addition, the Federal Motor Carrier Safety Administration (FMCSA) enforces safety regulations for commercial trucks operating across state lines. These rules govern not only equipment, but also hours of service, inspections, maintenance, and licensing. In addition, each state has a separate set of laws for trucks which only operate within a state’s boundaries. These state employees carry out inspections to make sure drivers and truck companies are in compliance with federal regulations. How can some of these accidents be prevented? 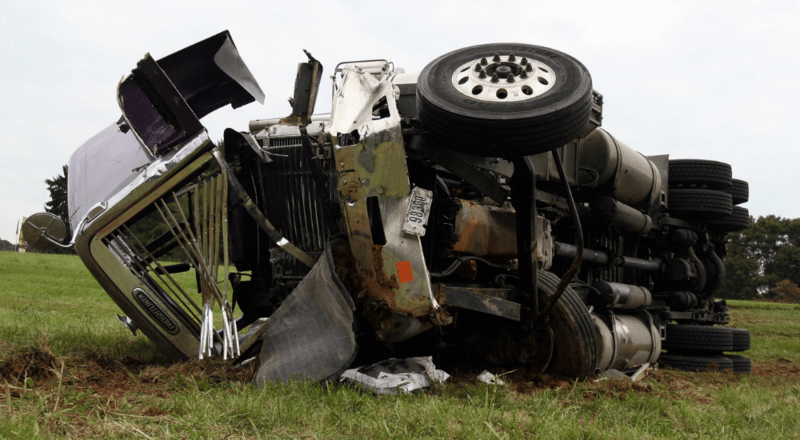 The qualified truck accident attorneys at Slack Davis Sanger join experts in recommending improved safety training in rollover prevention. Experts have also suggested that sensor-activated warning signs can encourage drivers to take extra caution during unsafe approaches. With a focus on being proactive, we can avoid these common scenarios that often end in tragedy. Highly skilled litigators who serve as steadfast advocates for motor vehicle safety and the rights of victims in serious crashes. Decades spent representing clients, investigating the common causes of truck accidents, and bringing those responsible for these tragedies to justice. An in-depth understanding of auto industry, trucking, and transportation regulations and how rules in different states impact passenger safety in catastrophic crashes. A first-class team of legal scholars which leave no stone unturned when it comes to protecting the rights of victims and their families in these senseless incidents. Compassionate, responsive professionals who are available any time—day or night—to pursue your family’s interests against formidable foes with deep pockets. A single-minded focus on getting you and your family the compensation you deserve after an avoidable accident.